Browse » Home » Warehouse Sale » Canon Warehouse Sale: Printer, Camera, Calculator at Up to 50% Discount! 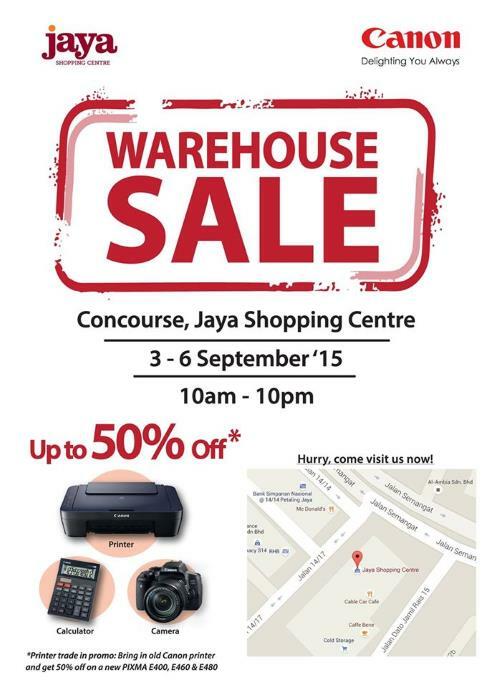 Canon Warehouse Sale: Printer, Camera, Calculator at Up to 50% Discount! *Printer trade in promotion: bring in your old Canon printer and get 50% off on a new PIXMA E400, E460 and E480.